Liven up your prayer life with some color and creativity. Whether you use a bullet journal, regular journal or planner, or just occasionally like to send notes to your friends, these sets of stickers are flexible and colorful and easy to use. Simply peel one of the stickers from the 8.5 x 11″ sheet, and write as much or as little as you’d like beside it. Makes a great gift, especially when combined with a journal and writing utensils. 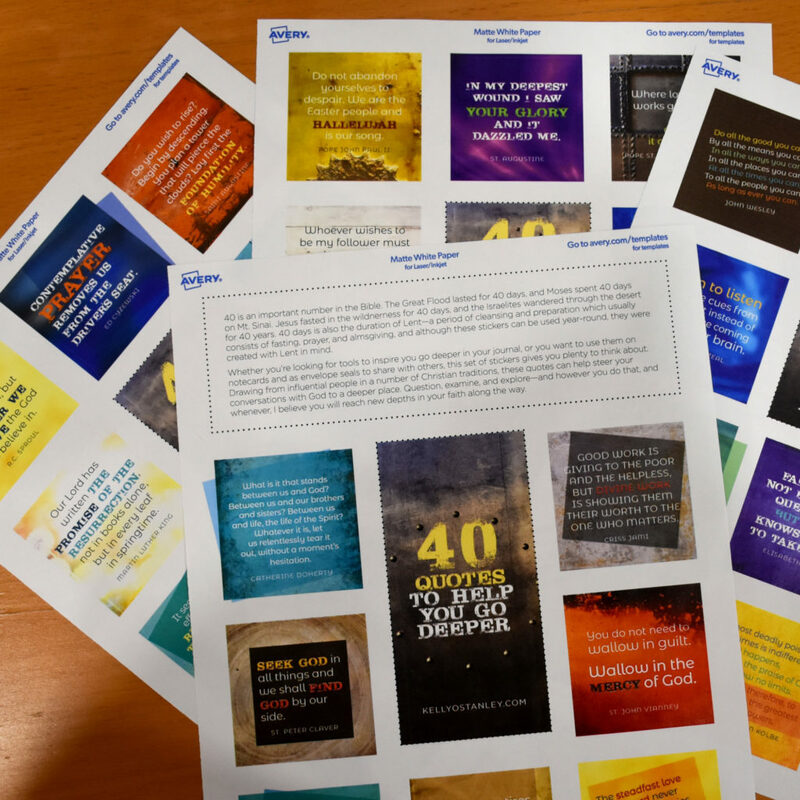 Whether you’re looking for new depths in your quiet time at Lent, or just wanting to share the inspiration with friends, this set of 40 quotes will fill 40 days with introspective and inspirational thoughts on prayer and faith.